Norberto R. Keppe received his training in psychoanalysis in Vienna where he studied with Professor Viktor E. Frankl at the Polyclinic Hospital and Frankl’s School of Existential Analysis, as well as with Knut Baumgarten at his Child Guidance Clinic and at Igor Caruso’s Circle of Deep Psychology. Keppe is the founder and president of the Society of Integral Psychoanalysis or Analytical Trilogy, which he formed in 1970, based on his own scientific theory and practice in the treatment of psychological, physical and social illness. His work integrates the areas of science, philosophy and spirituality, giving rise to a new field called psycho-socio pathology. Keppe was an invited guest lecturer for many years at São Paulo’s Pontifical Catholic University as well as the Faculty of Medicine at the University of São Paulo, among other institutions and faculties around the world. He was also founder and director of the Psychosomatic Medicine Study Group at Professor Edmundo Vasconcelos’ gastroenterology clinic at USP’s Hospital das Clinicas. He is the author of 37 books, some of which have been translated into 9 languages. He has extensive experience abroad, working for 13 years in the U.S. and Europe where he developed his formidable work in Sociopathology, Metaphysics and the New Physics (1996). This latter work has led to the creation of the sustainable Keppe Motor technology, an innovative motor that uses up to 90% less electricity. Keppe studies in physics have led to a new name for the science: Energetics, or the New Physics. This was made possible by his disinversion of Aristotelian Metaphysics to arrive at an understanding of the origin and energetic functioning of all beings. He has written essential books on the subject, culminating in his book, The New Physics Derived from a Disinverted Metaphysics, whereby he has provided a unification of physics, biology and psychology. The Keppe Motor technology is a practical application of this new Trilogical Physics, further explored in Keppe’s booklet, Magnetonics (a study of magnetism). 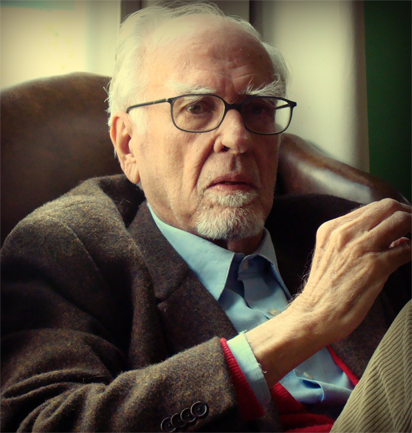 Keppe returned to Brazil in 1997, and continues directing his International Society of Analytical Trilogy (Integral Psychoanalysis). He attends clients, trains psychoanalysts in his innovative methodology and writes books that explore his vast knowledge and experience in psycho-socio pathology. His breakthrough work in independent physics research is orienting a group of engineers in the Keppe Motor project to develop their innovative technologies. Keppe’s charisma and communication skills come to the fore in his numerous scientific and therapeutic lectures and on his self-produced and award-winning radio and TV programs that run everywhere in Brazil and on more than 200 channels in over 40 countries. He is also responsible for developing the unique psycho-linguistic method used at Trilogy Institute in São Paulo, and his vast work in psycho-socio therapy forms the basis for the innovative post-graduate course in training psycho-socio health therapists at his Keppe & Pacheco Institute.